Maureen McMahon was born in Michigan, USA. She earned an English Major with Creative Writing Emphasis and teacher certification from Western Michigan University. She has taught creative writing to both children and adults in the U.S and Australia, as well as online at Writer’s Online Workshops. In 2001, she was recognized by WMU as one of eleven notable Alumni for achievements in creative writing with publications and teaching. Interested in her mother’s country of birth, Maureen traveled to Australia in 1981 where she now resides with her husband, labradors and cats. She has two grown children. Maureen has freelanced for various magazines and was staff writer for Australian Runner Magazine for several years. Maureen’s website, Moonspinners Writer’s Page, was voted one of the ‘101 Best Sites, 2006’ by Writer’s Digest Magazine. Some of her published works are: Shadows in the Mist, Return of the Gulls, Enchanted Holidays, One Touch Beyond and A Nightingale in the Sycamore. Maureen also writes erotica under the pseudonym Ainsley Abbott. Books include: Catey's Capture and Jemimah's Genie. These are rated 18+. 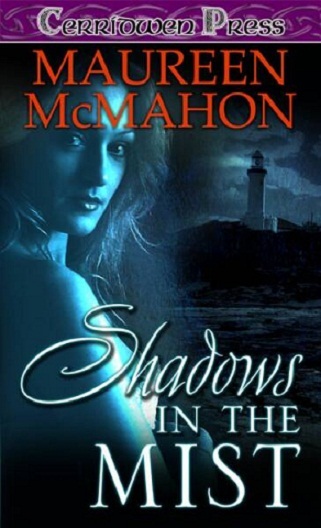 Besides writing, Maureen enjoys swimming, the sea, rip roarin’ thunderstorms, challenging video games and a good read. When a troop of Yankee soldiers invades her Louisiana plantation home, Catey Allendale must face them alone. With her parents dead and her two brothers off fighting the war, Catey orders her younger sister, Sarah, to flee. Armed with only her father's ancient musket, she confronts the men alone, hoping once they realize Allendale plantation has nothing to offer, they'll move on. But handsome, hazel-eyed Lieutenant Jess Granger knows how his sadistic commanding officer treats Confederate women. This dark-haired, delicate beauty will have no chance once Leroy Clemens arrives. If Jess claims the girl first, he might be able to protect her from the lustful whims of Clemens and the others. When Suzanna Dirkston, daughter of wealthy shipping tycoon Leopald Dirkston, learns that her father is dead, she knows it was no accident. Forced to return to the family homestead, Beacon, Suzanna senses the air of mystery and intrigue hanging over the house and its inhabitants. She’s shocked when she learns that her father is still trying to manipulate her life even from the grave. His will stipulates she must marry Grant Fenton, a man Leo rescued as a child from poverty and groomed to replace him at Dirkston Shipping. If she doesn’t accede to the conditions of the will, she and her extended family will be left penniless. To add to her problems, Suzanna is plagued by strange dreams, mysterious apparitions and ghostly visitations—as well as an increasing attraction to the arrogant, brooding man she is to marry. Suzanna begins to fear not only for her sanity, but for her life as she unravels, bit by bit, the gruesome reality that lies hidden amid shadows in the mist. Readers will remember Stacey and Peter from Ghosts of Auld Lang Syne and ’Neath Hallowed Halls and Ivied Walls, Blush stories in the Enchanted Holidays and One Touch Beyond anthologies.